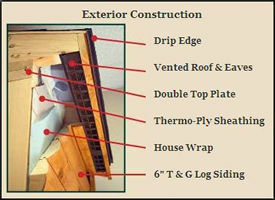 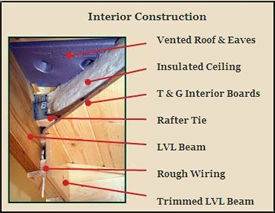 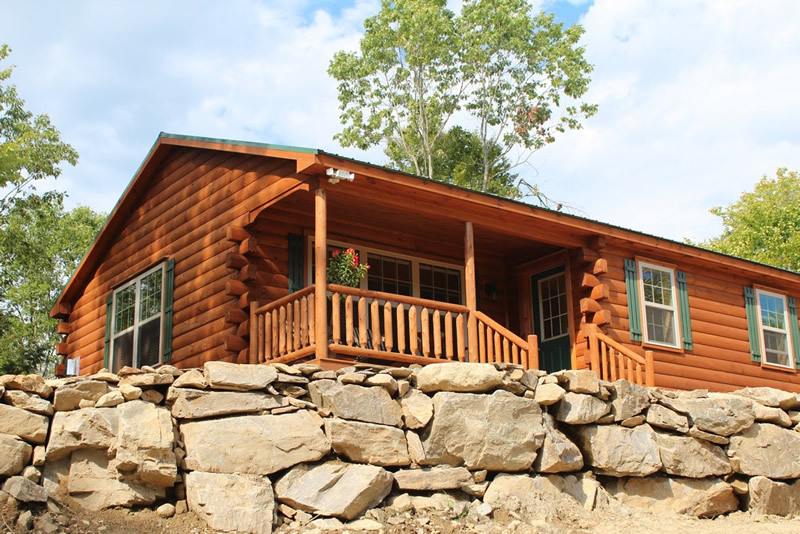 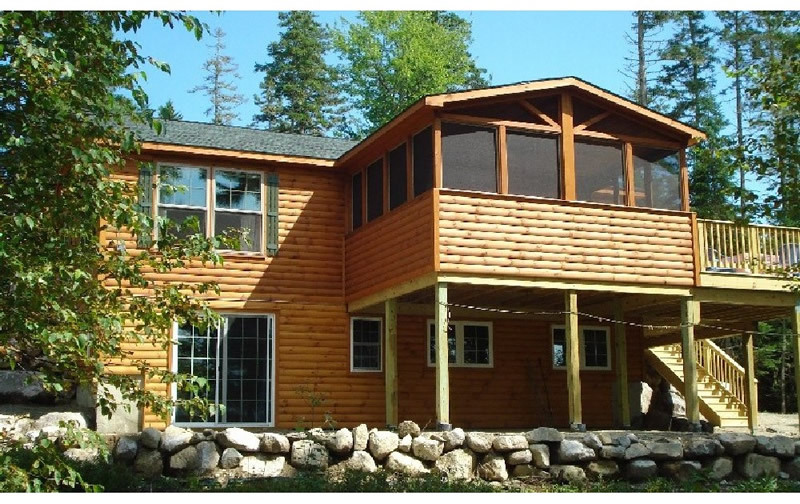 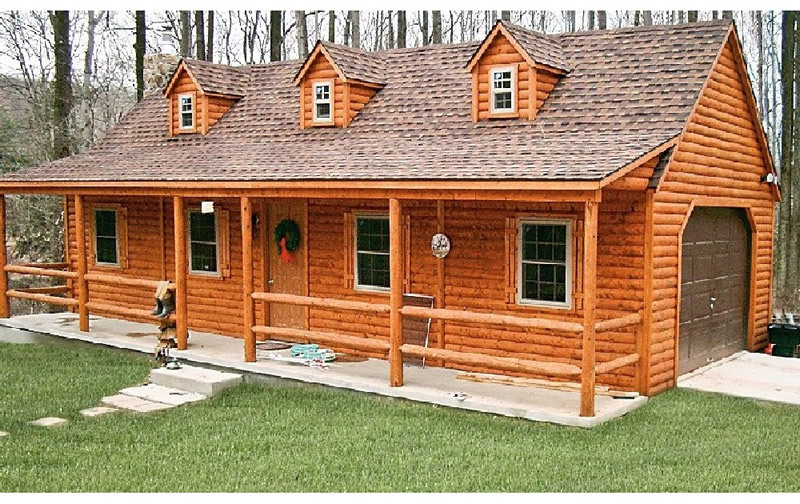 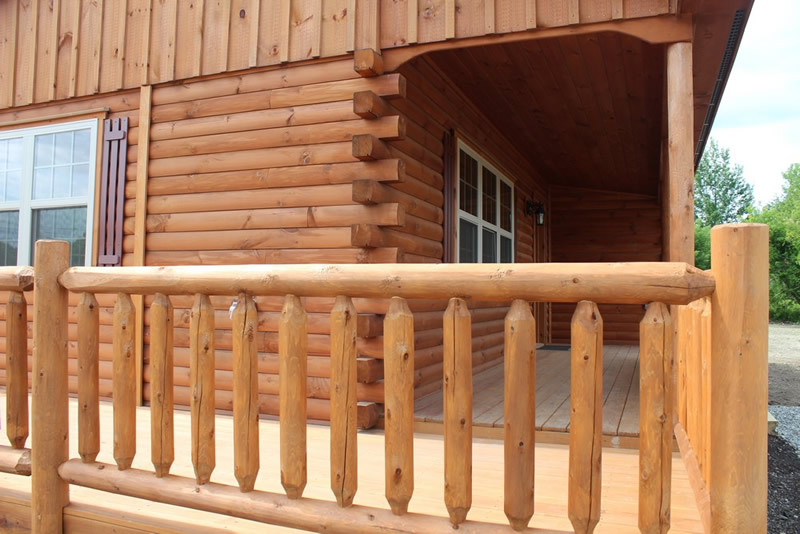 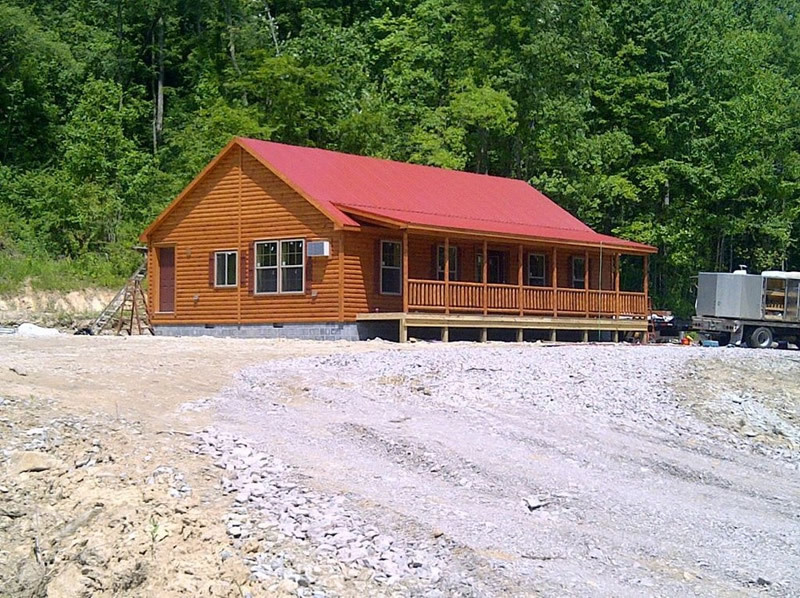 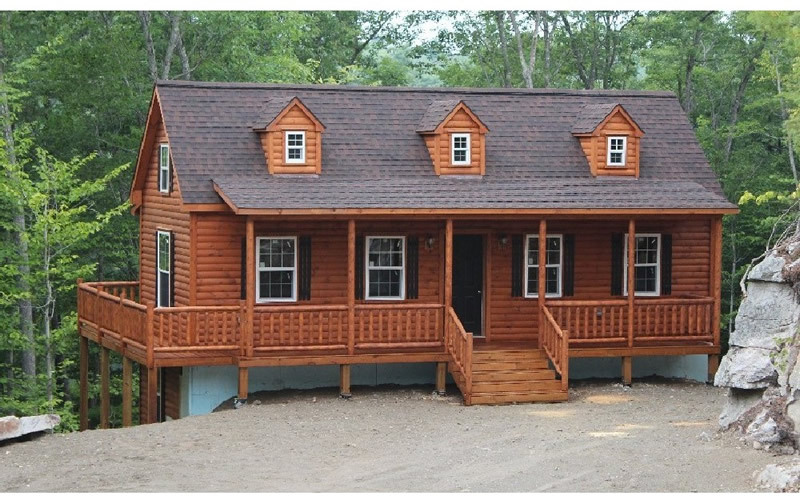 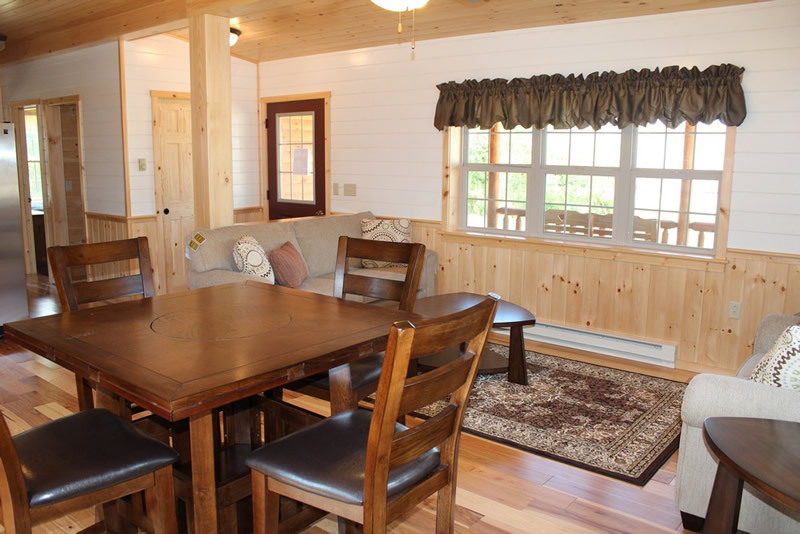 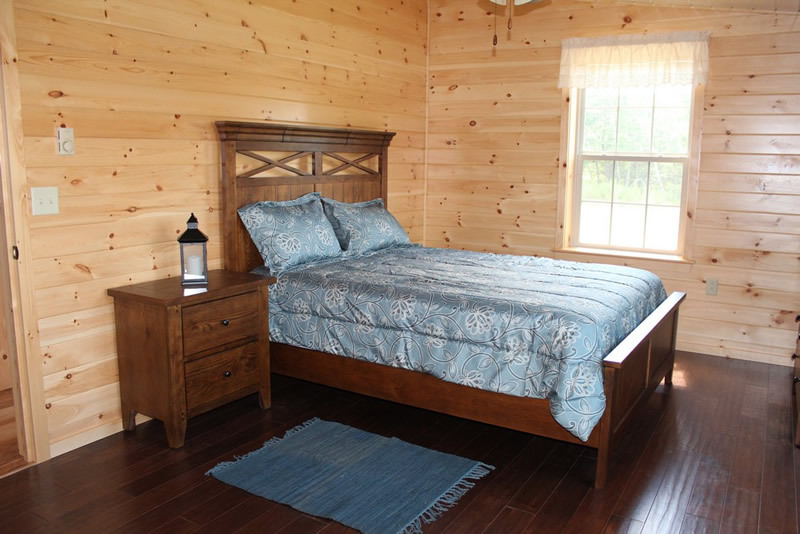 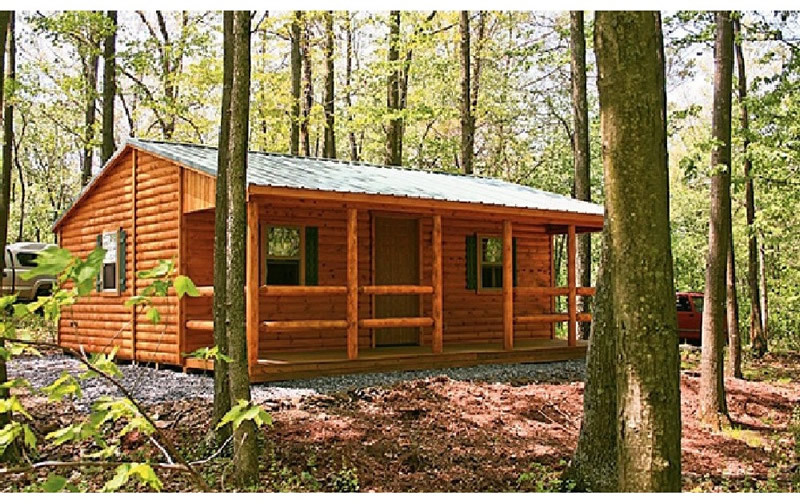 The full length porch on the Lincoln log sided home is for those who love to enjoy the outdoors right from their home. 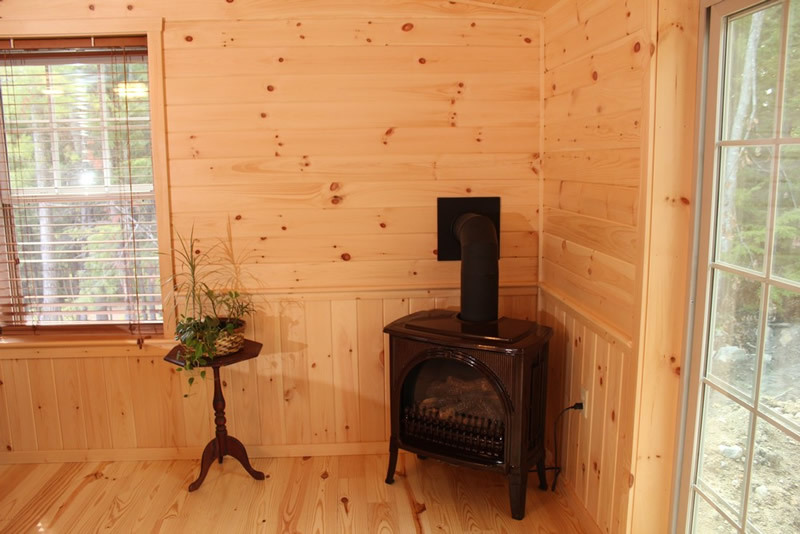 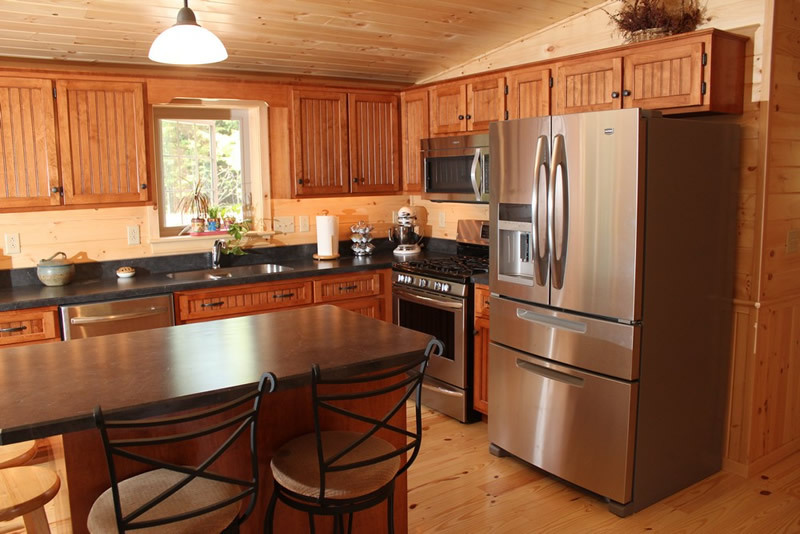 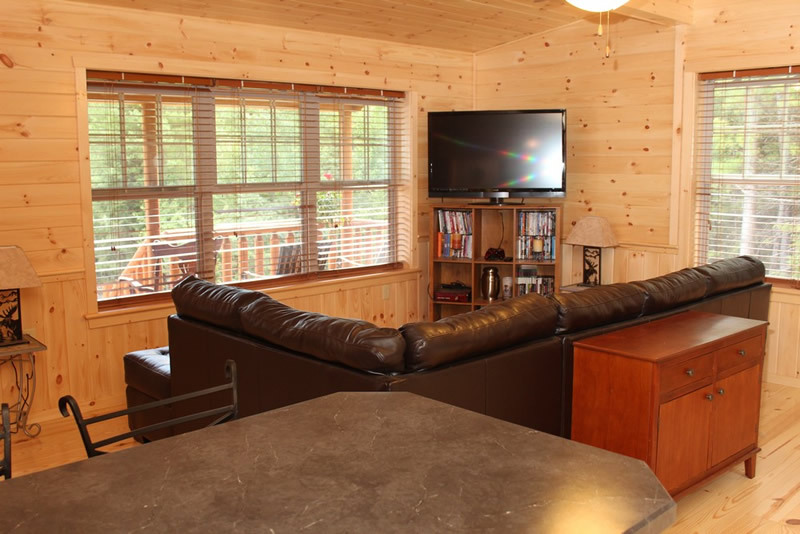 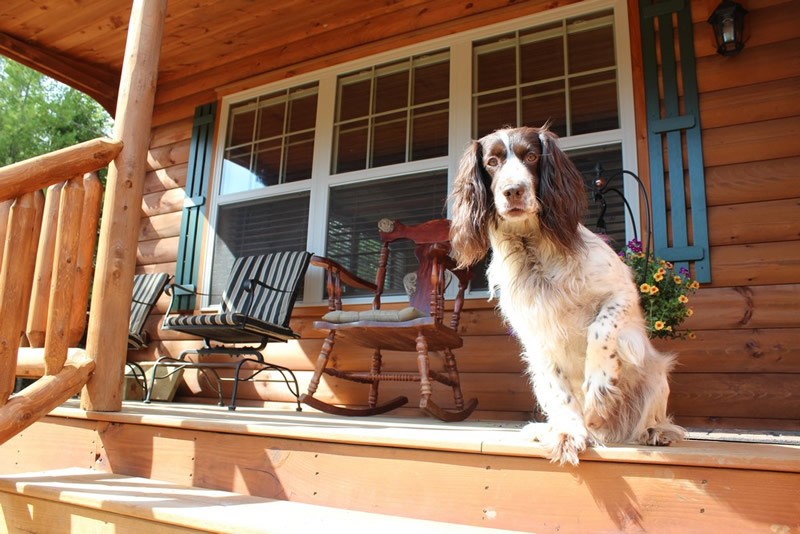 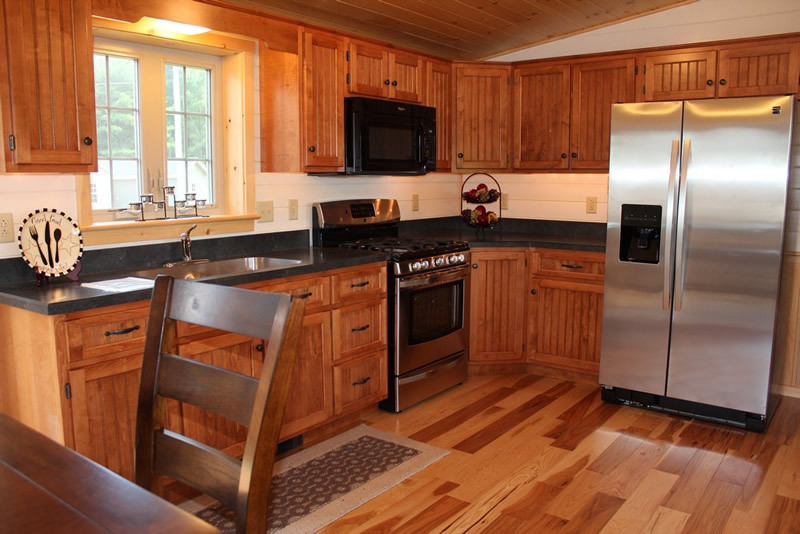 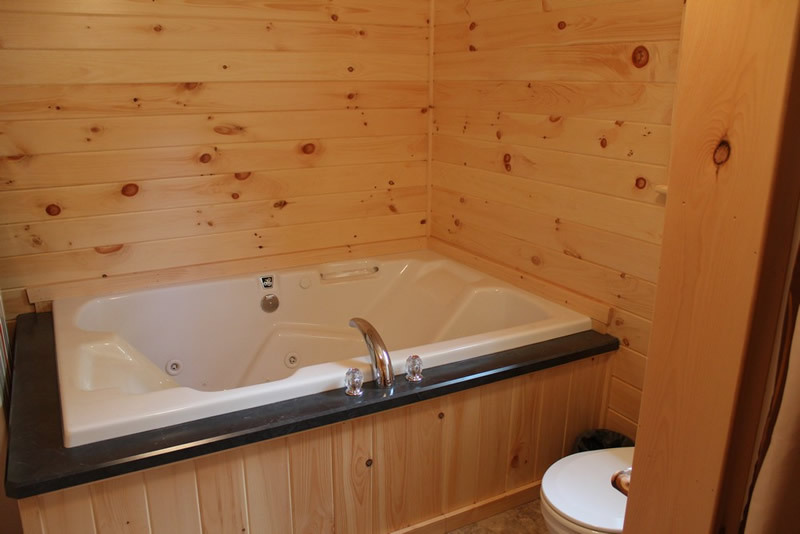 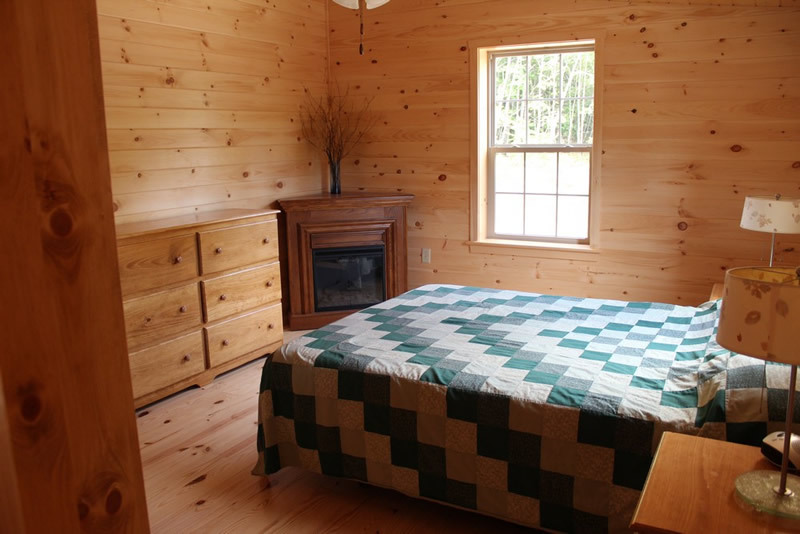 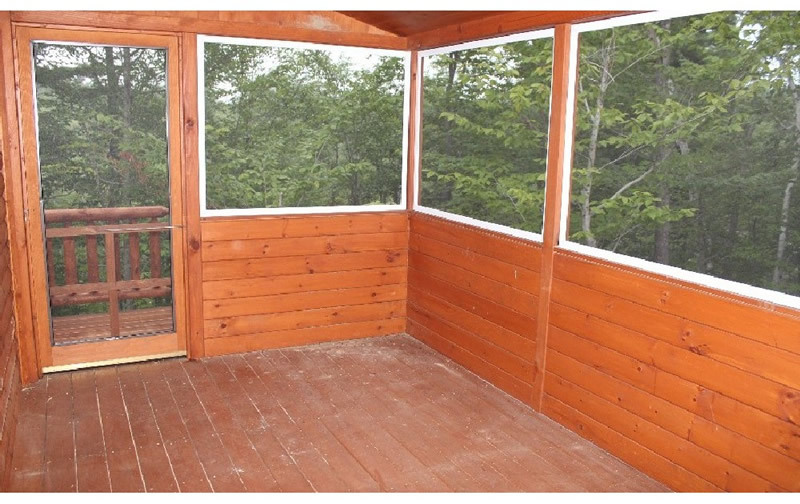 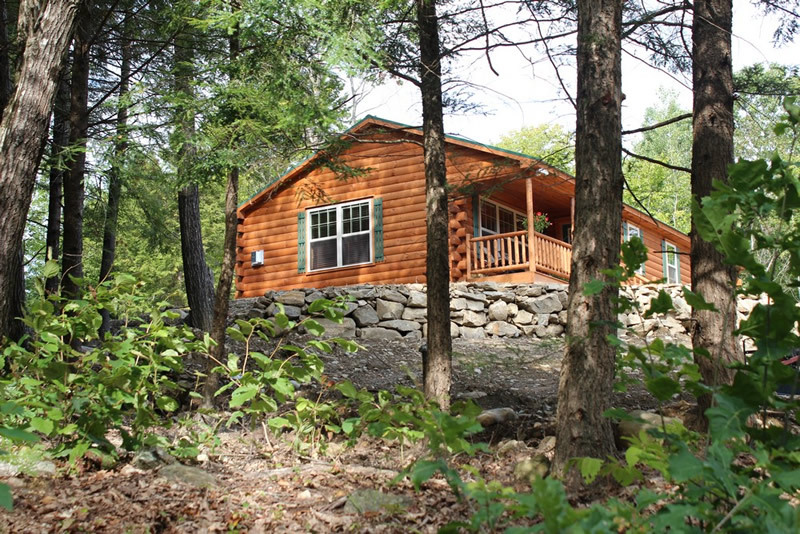 It gives you plenty of room for muddy boots, a stack of firewood for the fireplace, and Adirondack chairs for relaxation. 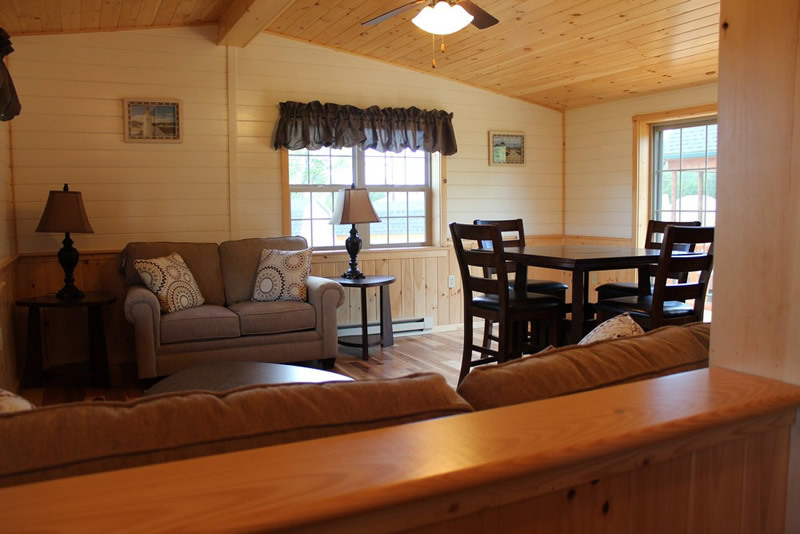 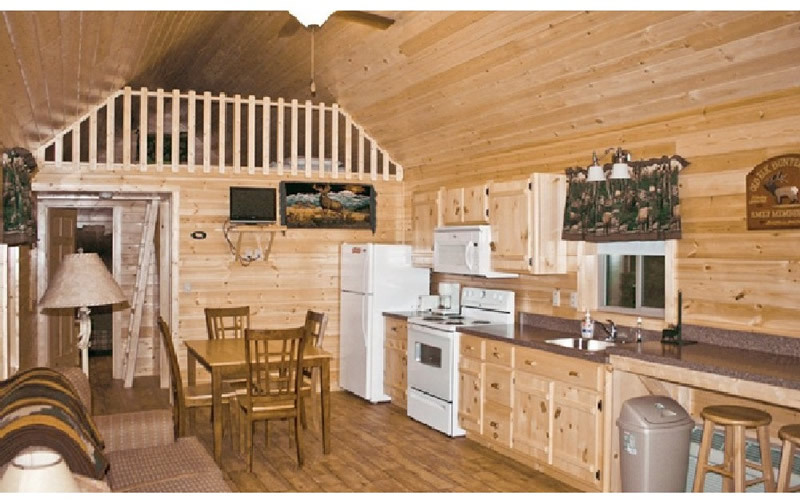 The layout of the Lincoln is efficient to give you the space you need for that special time at the lake or when you need quiet time away from your year-round residence. 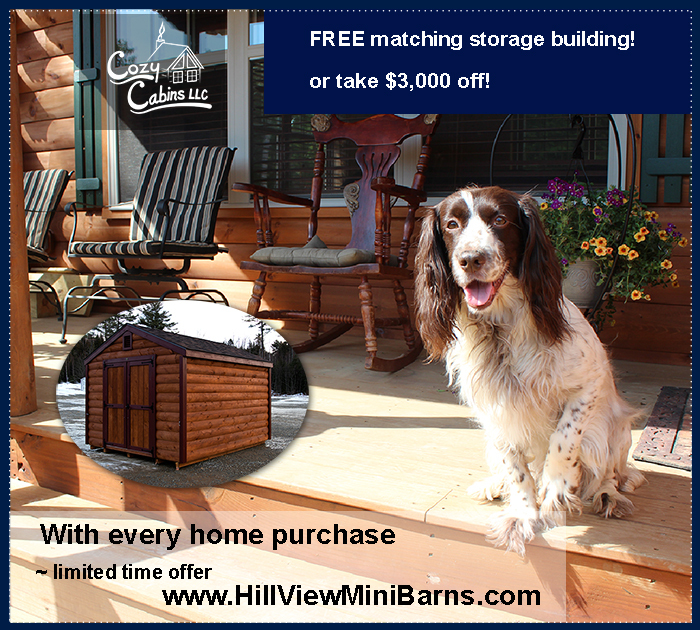 Please call one of our sales reps to find out if the Lincoln home is the right match for you!